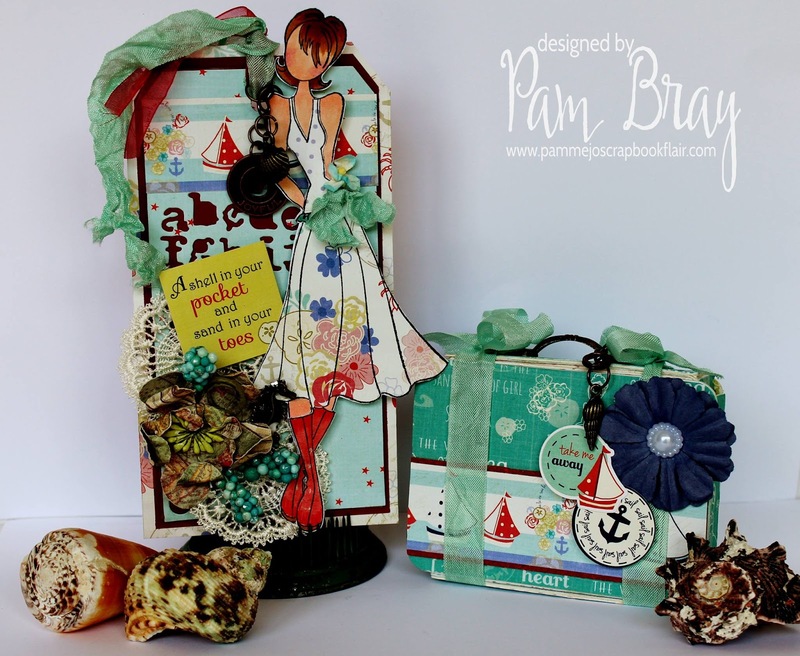 Julie Nutting Designs: Ready for Vacation? For the Dolls are Everywhere challenge, we thought it would be fun to get our favorite Prima dolls ready for vacation. Summer, after all, is right around the corner! We used the Eileen Hull suitcase die #657124 from Sizzix to get our creative juices flowing. Megan is all ready for her cruise! Hmmm, wonder where she's going? Pam used the Nautical Bliss paper collection from Photo Play Paper and just how cute does it look made into that little suitcase? It matches her outfit! I can't help but wonder where Doreen's doll is headed. The Pheobe stamp is just so sugary sweet in pink tulle, perhaps she's off to Paris! 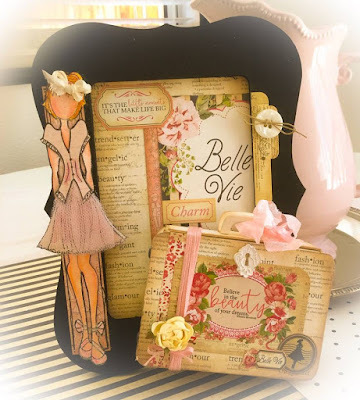 She used the Belle Vie paper collection from Photo Play Paper and a simple black shadowbox frame. 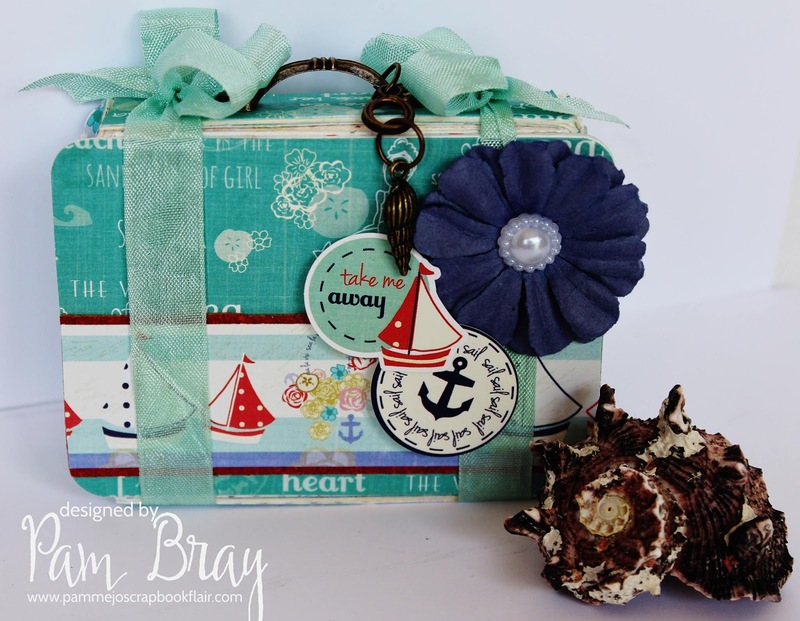 A touch of ribbon in a cotton candy shade and an old button completes this piece nicely. 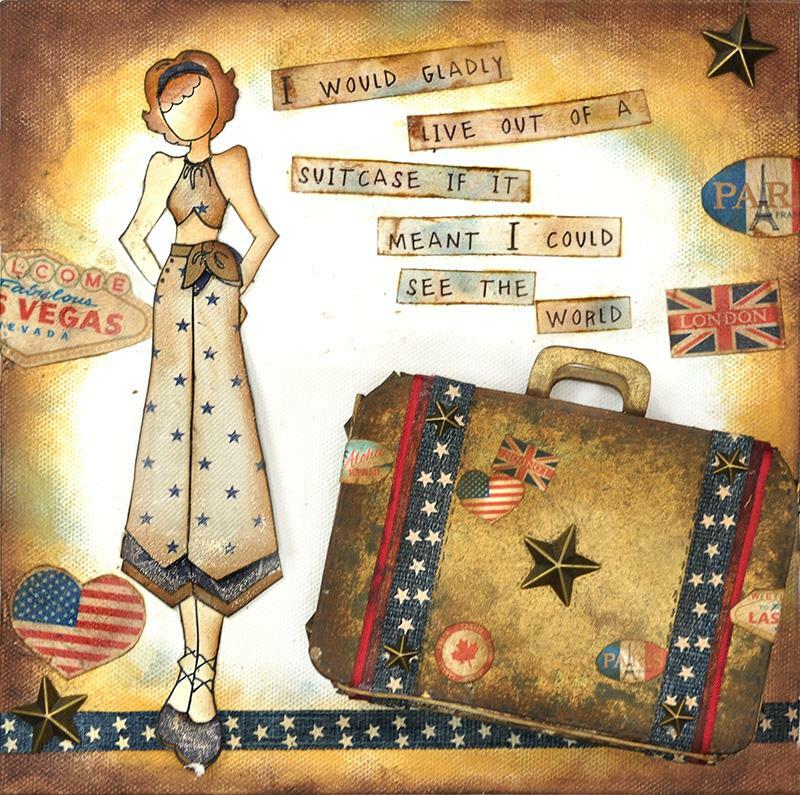 Jennifer used Gina, one of my latest Prima stamps to create this vintage travel canvas. Wonder where this cutie's going! I'm just gonna guess a fancy European vacay. Maybe Italy. I just love how her tattered old suitcase is covered in travel stickers and those stars! Gorgeous creations! Love Julie Nutting! 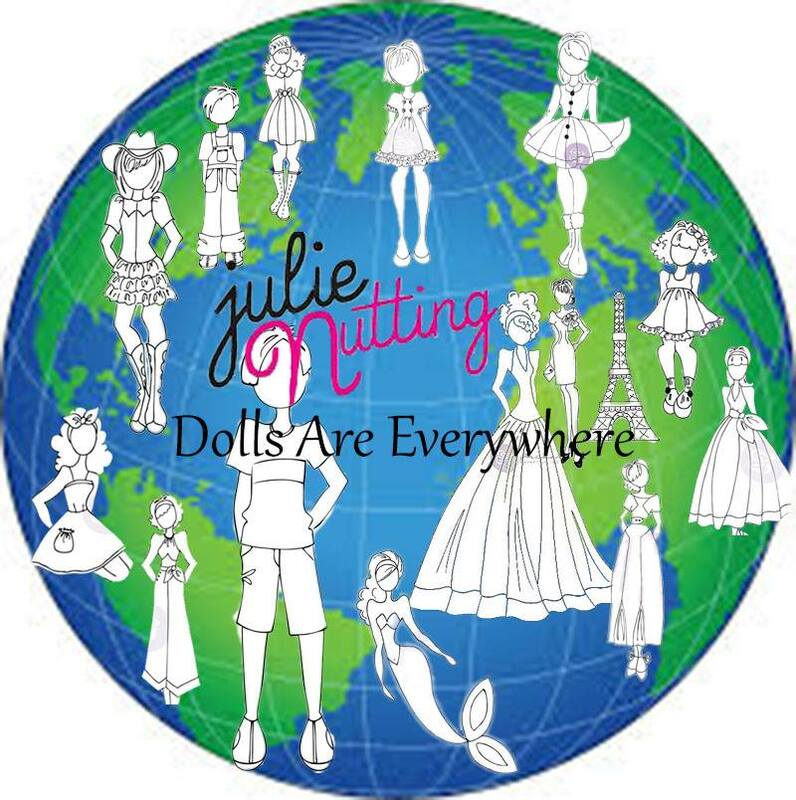 How fun to create a doll and have her in theme for vacation. I love traveling and seeing the world...not so much flying anymore due to instability in the world. Fabulous creations from talented ladies. These are fantastic- every one of them! Makes me want to pack up and head out. I love how the suitcases match the doll... Julie they are adorable! These are awesome. Thanks for great ideas.